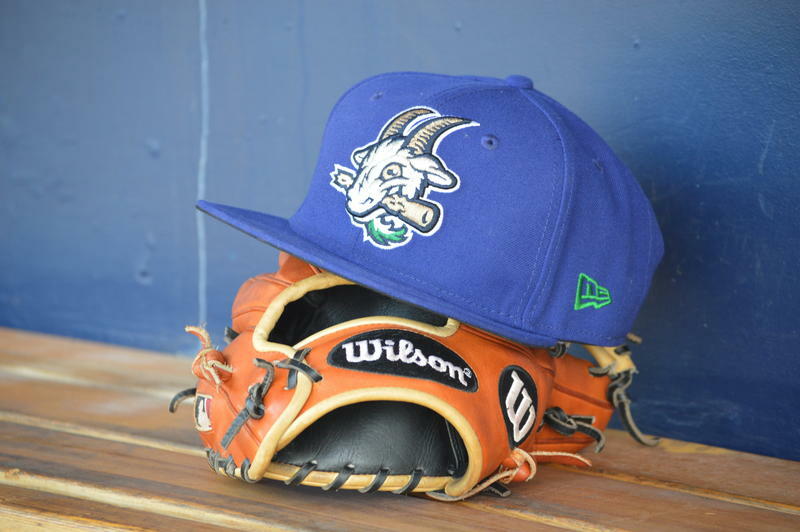 The Yard Goats' home cap. 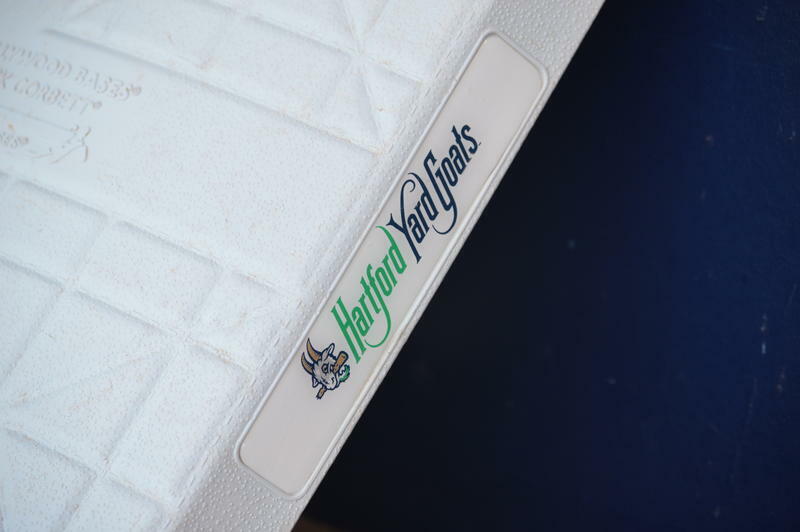 The Hartford Yard Goats wordmark as it adorns the bases at Dunkin' Donuts Park. 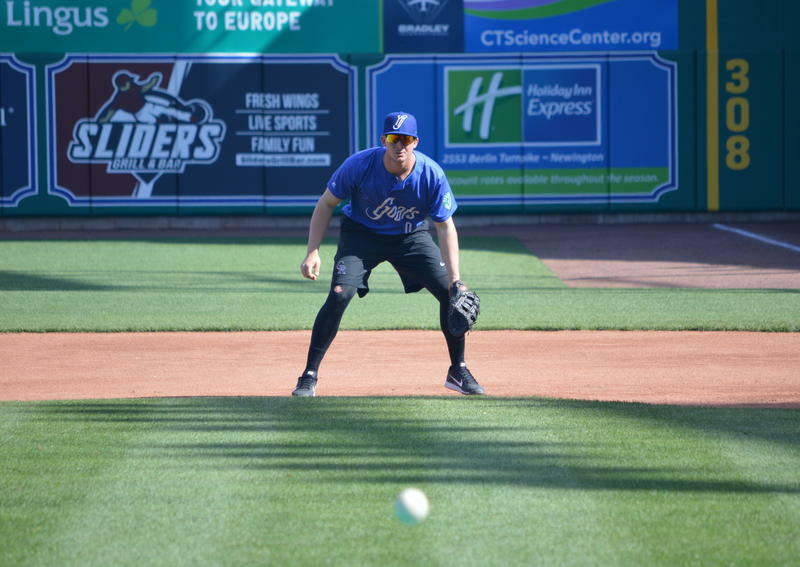 Yard Goats pitcher Yency Almonte in the home whites. 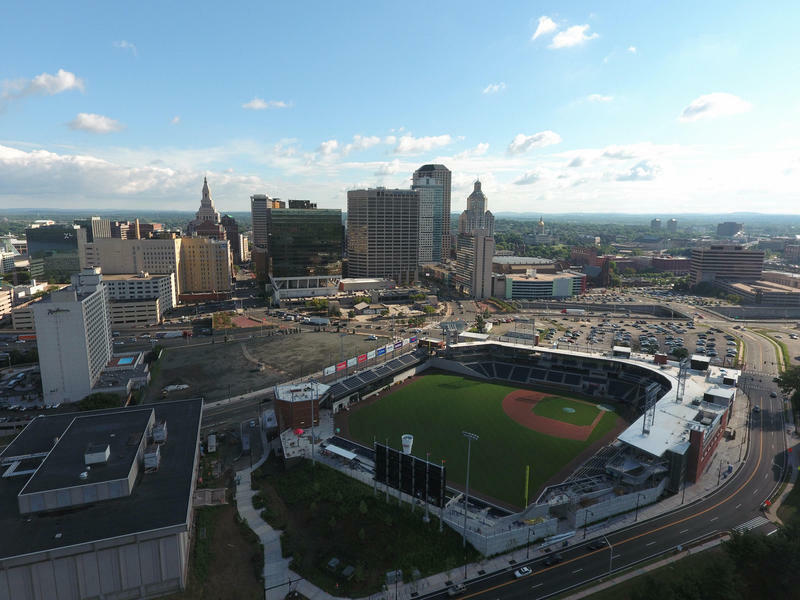 A crop of fan submissions were winnowed down to a final five names, among them the Hartford Hedgehogs, River Hogs, Whirlybirds, and the oddly singular Hartford Praying Mantis. But as we well know, none of those names won out in the end. 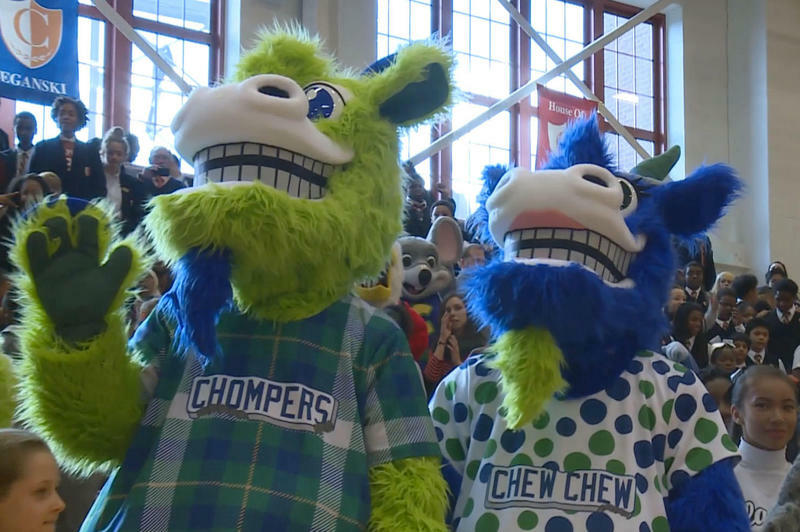 This episode, let's look at all this stuff around the Hartford Yard Goats -- the whole brand -- the logos, the uniforms, the mascots. 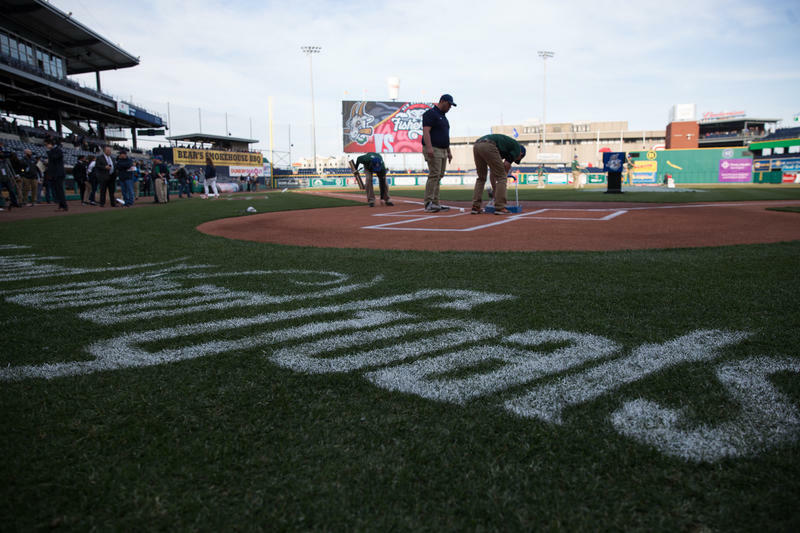 What the [heck] is a Yard Goat?